Advisors who use Fidelity's custody or clearing services now have access to two kinds of assistance with video-making and marketing to new clients. 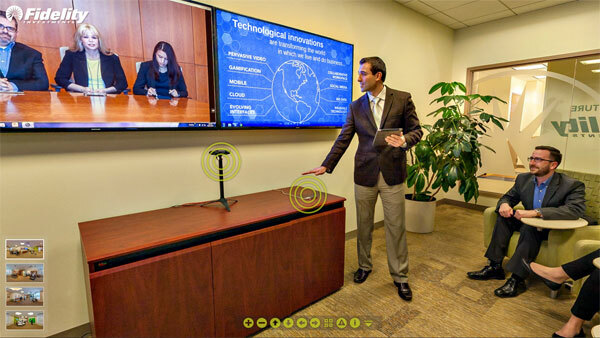 Fidelity's Office of the Future is getting a video lab. Fidelity Custody and Clearing announced Tuesday two programs designed to help its advisors with their video creation and production, with the promise of attracting new clients by posting the videos on their own websites or those of a new Fidelity partner, GuideVine. Canter said Fidelity believes that advisors “need to engage differently than they have in the past,” particularly if they want to attract the emerging affluent, “the millionaires of tomorrow.” Canter said those younger investors “don’t need a lot; they need a little a lot,” so researching an advisor on the Web, then interacting with an advisor through video or other digital offerings that they can return to as they wish fits the bill. Moreover, Canter said that “the story behind the story” is that making a video constitutes a “fantastic practice management technique,” since it requires advisors to “prepare, rehearse and refine their stories” prior to the actual shoot. Most advisors, he said, “could use help in articulating their firm’s story,” including why clients would want to work with them. A few test searches revealed a range of advisors geographically and business-model wise on the platform, from fee-only advisors to fairly high-risk investment managers, and useful educational material for users on why it’s important to know how an advisor charges for services. Users can also ask for help from GuideVine’s own “concierge.”User information is not captured, and contact with advisors or GuideVine is not made unless the user specifically requests it. For advisors, GuideVine will review a firm’s current digital offerings and then suggest how advisors can improve those offerings, including video recording and editing work, posting the video on GuideVine.com, building traffic to the advisor via both organic and paid search, and then monitoring traffic to the advisor’s video, providing valuable feedback based on video pageviews and other user behavior. “GuideVine,” he says, “has developed some interesting learnings — it’s not always obvious what an investor will find appealing in an advisor’s video.” The second program is an expansion of Fidelity’s Office of the Future campus in Smithfield, Rhode Island called the Video Lab, which Canter said “provides a cost-effective way to produce videos and put it on your website.” In addition to video, the Office of the Future will show advisors which components they need to create their own video sand other digital content for their sites, social media and other client communications. The equipment, including hardware and software, needed to shoot your own video can be bought for as little as $1,000, Canter pointed out. Advisors can also use Fidelity’s Alliance program to procure additional digital services, he said. Confirmation of how a good online experience can attract new clients is shown by the success of the so-called robo-advisors. Canter recalled how during a conference session he moderated that Jon Stein of Betterment said his robo-advisor was adding accounts at a rate of about 1,000 per week.